Live updates on the UK's progress exiting the EU. British Prime Minister Theresa May has used a visit to Scotland to give a speech on the unity of the UK in a post-Brexit world. 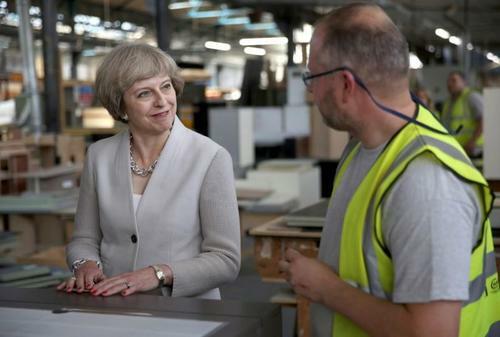 Reuters UKBritain's manufacturers told Prime Minister Theresa May on Monday to drop her threat that she might take the country out of the European Union without a new trade deal, saying they would bear the brunt of trade barriers with the EU. 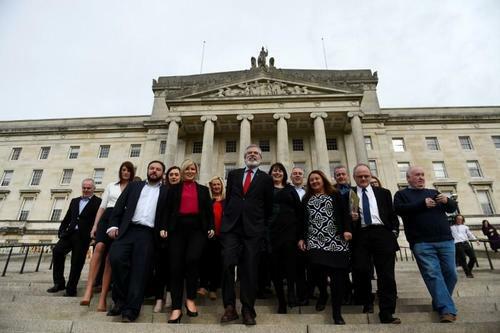 The British government gave Northern Ireland's largest political parties more time to form a power-sharing regional government and said there was no appetite for another election in the province. Prime Minister Theresa May on Monday held her first meeting with First Minister Nicola Sturgeon since blocking Scotland's bid for a second independence referendum. Prime Minister Theresa May will trigger Britain's divorce proceedings with the European Union on March 29, launching two years of negotiations that will reshape the future of the country and Europe. May's government said her permanent envoy to the EU had informed European Council President Donald Tusk of the date when Britain intends to invoke Article 50 of its Lisbon Treaty. 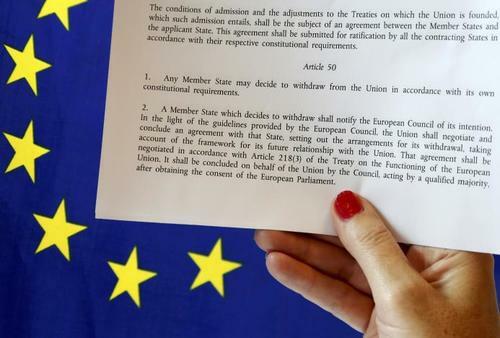 Article 50 is the mechanism for starting the UK's exit after a referendum last June in which Britons voted by a 52-48 percent margin to leave the bloc. The EU said it was ready to begin the negotiations and within 48 hours of the trigger on March 29. March 29. The country should be out in two years. 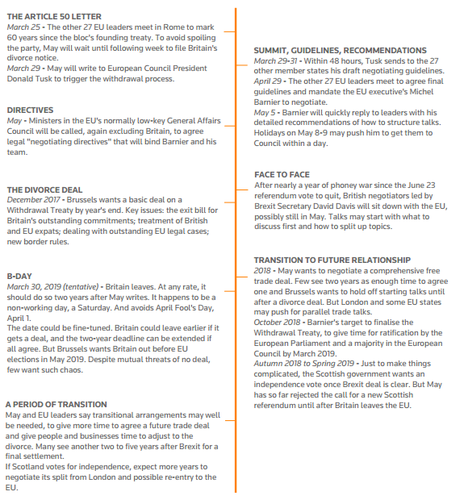 View full size timeline here. SPECIAL REPORT: Have banks lost the Brexit argument? Northern Ireland Minister says the window of opportunity to resolve political impasse is a short few weeks. Northern Ireland minister says it is clear that significant gaps remain between political parties in Northern Ireland. That leaders of political parties have no appetite for alternative to power-sharing agreement and that there is a short window of opportunity to resolve the situation. BREAKING: Northern Ireland minister says agreement between Northern Irish political parties has not been possible. Reuters UKGerman engineering group Siemens (SIEGn.DE) said it was committed for the long term to Britain, which will begin the formal process of leaving the European Union on Wednesday. British banks need to prepare for a wide range of potential outcomes and avoid sudden changes to lending as the country gets ready to leave the European Union, Bank of England policymakers said on Monday. Reuters UKNorthern Ireland could be set for a fresh election or a return to direct British rule of the province after the two main parties in negotiations to form a new government said on Sunday that talks had run their course without success. 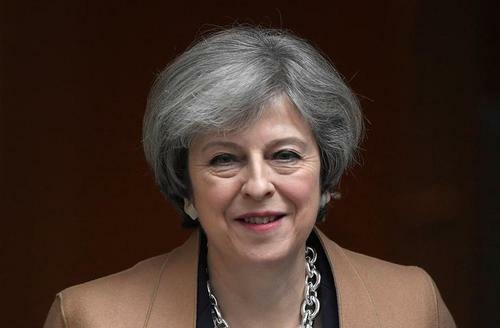 Reuters UKBritish Prime Minister Theresa May will press her case on Monday for a strong union in Scotland, using a visit to staff working on international aid to say "there is no limit to what we can do" when Britain works together. Just two days before Prime Minister Theresa May plans to formally notify the European Union that Britain is ready to start two years of exit talks, the central bank said banks will have to provide copies of contingency plans to reassure regulators that they are ready for "a range of possible outcomes". The Bank of England's Financial Policy Committee is asking Britain's banks to show how they can avoid their continental customers being abruptly cut off after Brexit. Lenders worry that Britain will not secure continued, unfettered access to the bloc's single market, and some are already planning to beef up their presence on the continent. "Sudden adjustment could disrupt the provision of market liquidity and investment banking services," the FPC said in a quarterly policy statement. 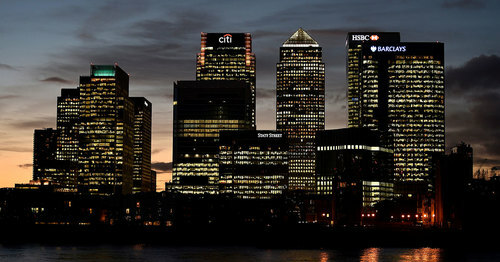 Changes to bank business models after Brexit would reduce the resilience of the UK financial system and the BoE said it was "examining appropriate mitigants", without elaborating further. 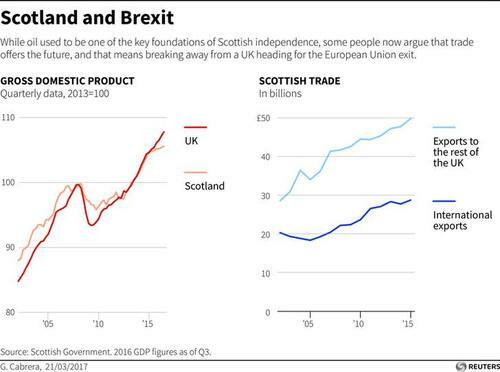 Bank of England Governor Mark Carney said earlier this year that he did not believe leaving the European Union was the biggest threat to British financial stability, a view that has not changed. The BoE said it was launching a review into consumer lending standards, which it now believes poses a greater risk than buy-to-let lending to small landlords, which has cooled over the past year. While manufacturing’s share of the UK economy has remained flat in recent decades, the share provided by finance has grown sharply. Some politicians now want to put more emphasis on manufacturing than finance. Click here to see the interactive. 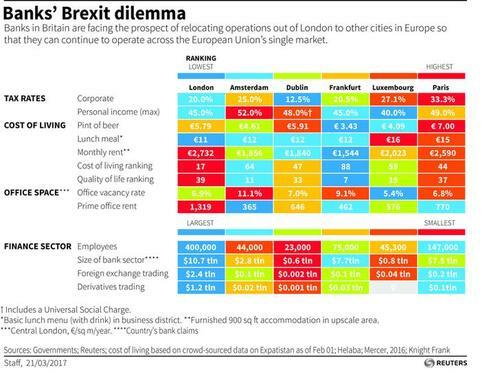 Have banks lost the Brexit argument? ReutersBankers expected special treatment from the government after Britain voted to leave the EU. They aren't getting it. 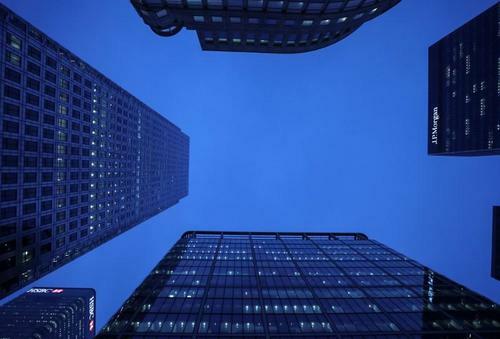 Deutsche Bank has chosen a new office for its London headquarters, signalling a vote of confidence in Britain's capital despite the country's decision to leave the European Union. German Finance Minister Wolfgang Schaeuble said that the European Union was trying to limit the negative effects of Brexit for Britain but stressed that countries wanting to get the benefits related to the bloc had to make commitments, too. 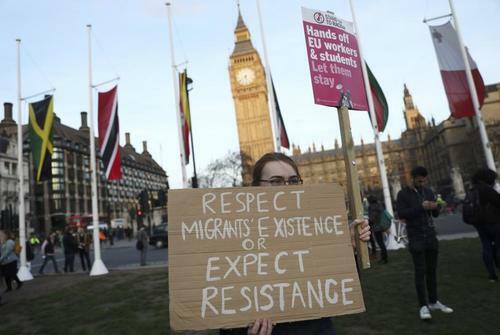 Reuters UKBritain's plan to begin the formal process of leaving the European Union on March 29 will not be delayed by an attack on parliament which left four people dead, Prime Minister Theresa May's spokesman said on Thursday. Reuters UKBritish exporters cannot count on enjoying the "sweet spot" which was created by the Brexit vote last year, a top Bank of England official said on Thursday, underscoring the BoE's cautious view on the outlook for the economy. Reuters UKFinancial firms must not base a decision to move from London after Brexit on expectations of being less heavily regulated, a senior Irish regulator said on Thursday. Reuters UKThe European Central Bank expects London-based banks seeking to keep access to the European Union's single market once Britain leaves the bloc to move key functions, branches and dealing operations, the ECB's top supervisor said on Thursday. Reuters UKSterling will fall sharply this year to as low as $1.06 against the dollar, as the process of Britain leaving the European Union damages UK growth, currency analysts at Deutsche Bank said on Thursday. Reuters UKScotland's devolved parliament will vote on Wednesday to give its government a mandate to seek a new independence referendum, despite Prime Minister Theresa May having said "now is not the time" for another vote as complex EU exit negotiations loom. 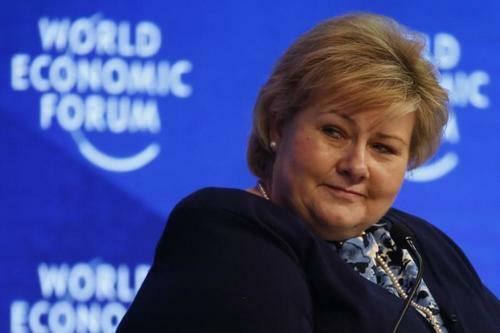 Reuters UKEuropean Union outsiders Norway and Iceland must boost their policy coordination in response to Britain's planned departure from the block, as well as other changes in global politics, the two Nordic countries said on Wednesday. Reuters UKBritain's future relationship with the European Union should be based on the bloc's free trade agreement with Canada but enhanced with services-related elements from its association agreements with neighbours, a Dutch advisory council said. 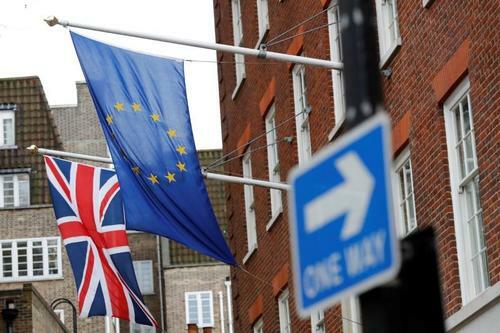 Reuters UKBanks looking to move from Britain to the euro zone after Brexit may be given an expedited entry, with supervisors willing to spare them from a lengthy initial test of their risk models, a top European Central Bank official said on Wednesday.